Tiger Den Days (correction) We're looking forward to a fun day camp on Aug. 9, 2013. Perviously, the date was incorrectly listed. This emblem and its beads provide immediate recognition to encourage rank achievement. Completion of the first three Wolf Achievements earns the emblem and one yellow bead. A new bead is awarded for each three achievements. 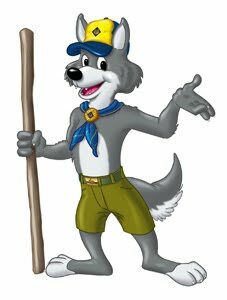 When four yellow beads are earned, the Scout becomes eligible to receive his Wolf badge. Yellow beads are for Wolf; red beads for Bear. This emblem is worn in on the right pocket of the uniform, hung from the button. It's worn instead of a temporary patch (like one earned at camp, or outings). 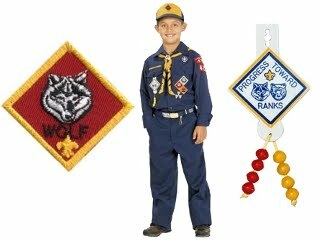 Cub Scouts may continue to wear this emblem after ranks are earned until they become Webelos Scouts.